To understand the problem that we have with MRP today we need to understand the basic principles of how MRP determines the supply order requirements. First, we need demand of Finished Goods which is provided in the form of known sales and a forecast. This demand is exploded through the dependent Bill of Material (BOM) down to all purchased parts. At each level in the BOM, supply order requirements are determined taking account of on-hand inventories, lead time to supply (procure or manufacture) and expected receipts. Due to the Parent-to-Child dependency through the BOM, these supply order requirements are directly coupled to any change in demand or forecast for the Finished Goods. Any change in demand will drive an immediate change in the supply order requirements at each and every level of the BOM. As a result, planners and buyers spend their time planning, replanning, and replanning again, sometimes returning to their original plan. A part can go from being in excess to being a critical shortage, or vice versa, in the space of a day simply due to changes in demand or the difference between what was expected and what has sold. This system nervousness drives planners and buyers crazy. Since the inception of MRP, supply chains have dramatically evolved from being simple linear based chains into more complex multi-node global supply networks. As network complexity has increased so too have the volatility levels in demand and supply. The synchronization of supply and demand is further complicated as customer tolerance times decrease, the number of parts with long lead times increase, product life-cycles become shorter and product complexity increases. 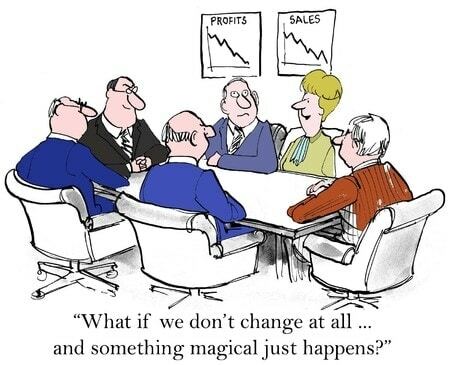 This is the New Normal of today’s business landscape. It’s bad enough that we expect MRP to work in this New Normal, but we knowingly drive it with an inaccurate forecast. Best-in-class companies measure forecast accuracy at around 75%, yet we continue to plan and execute production environments and our global supply networks based on a level of accuracy that is just not acceptable. Why do we plan and execute the entire supply network to this level of accuracy? MRP is entirely dependent on an unreliable forecast so it’s no wonder that MRP is unable to achieve the levels of inventory performance that we expect and require today. The issues that the New Normal brings are further compounded by the fact that MRP’s planning logic further amplifies volatility and system nervousness as demand and supply flow through the entire network driving higher levels of inventory, stock-outs and unacceptable customer service performance. 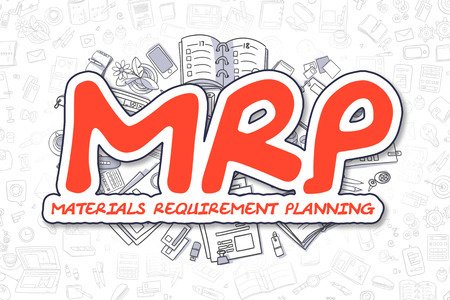 MRP is a great application for transactional activity, but due to a combination of 1960’s planning logic and working in the New Normal, MRP has become the main source of the Bullwhip Effect and it no longer has the capability to provide the right information to make the right decisions within today’s global supply networks. Demand Driven MRP (DDMRP) is the solution for supply chain planning in the 21st century. DDMRP provides companies with the operational planning and execution tools to revolutionize their supply chains, right-sizing inventory at each strategic location across the supply network. These strategic inventories decouple the entire supply network, absorbing inherent variabilities and volatilities enabling visibility, control, responsiveness and agility.